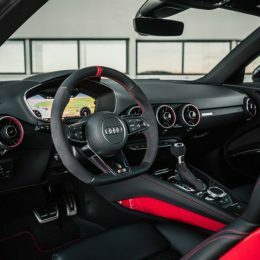 These gains boost an already attractive range-wide standard equipment list that includes the fully digital Audi Virtual Cockpit, now featuring an additional sport display providing information on engine output, torque and g forces, plus leather and Alcantara combination upholstery, keyless go, the Audi Music Interface for convenient playlist access and the MMI Radio incorporating the touch-sensitive MMI Touch control panel. 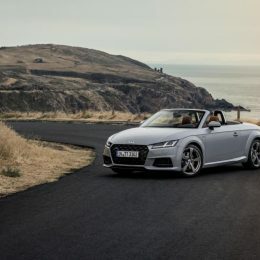 Equally important driving-focused features such as Xenon headlamps for Sport models and LED units for S line and above, LED daytime running lamps, cruise control, rear parking sensors and the Audi drive select dynamic handling system also form part of the standard specification. 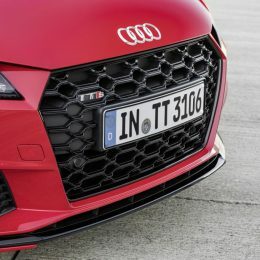 The exclusive specification reserved for TTS and TTS Black Edition models hasn’t been left out of the expansion plan – both now benefit from a Technology Pack incorporating hard disc-based MMI Navigation Plus, a three-year subscription to the many internet-based Audi Connect infotainment services and Audi Phone Box wireless handset charging. 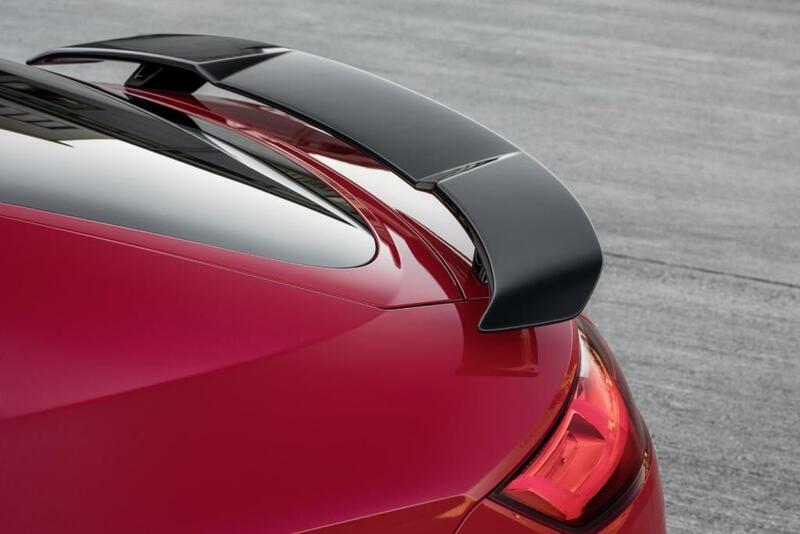 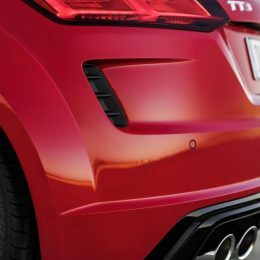 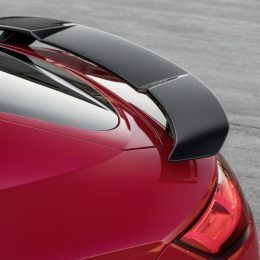 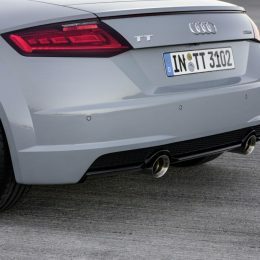 In addition to its new fixed rear spoiler the TTS Black Edition also upsizes to a new 20-inch wheel and incorporates the new Chrome slate grey and Piano black interior elements. 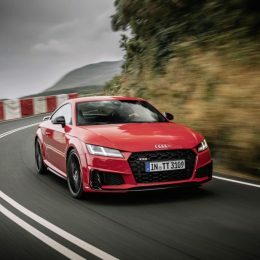 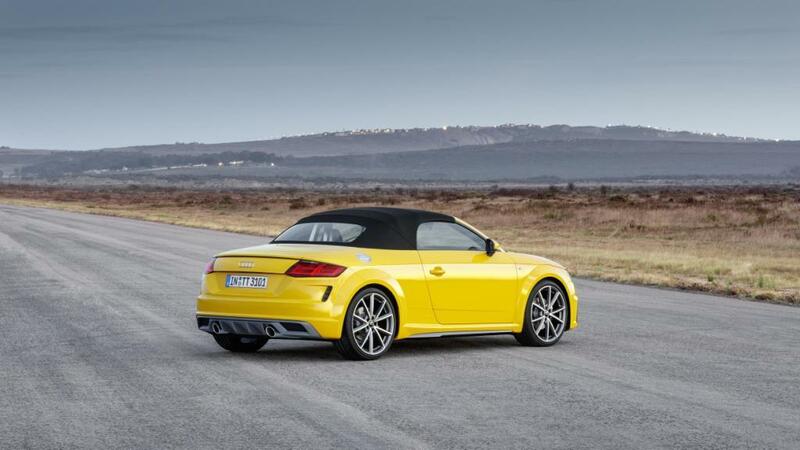 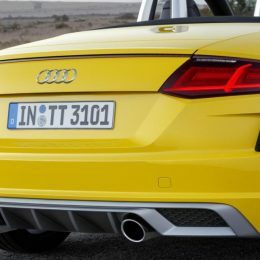 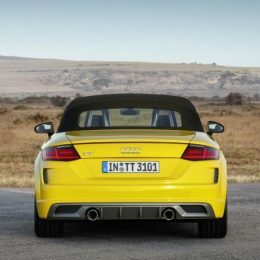 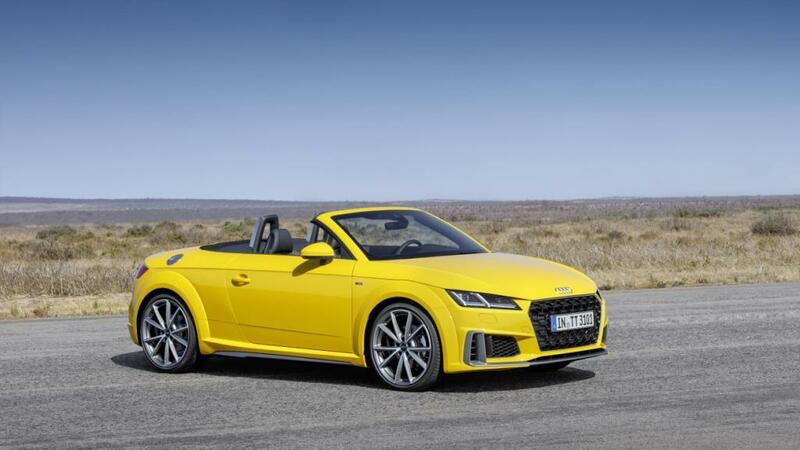 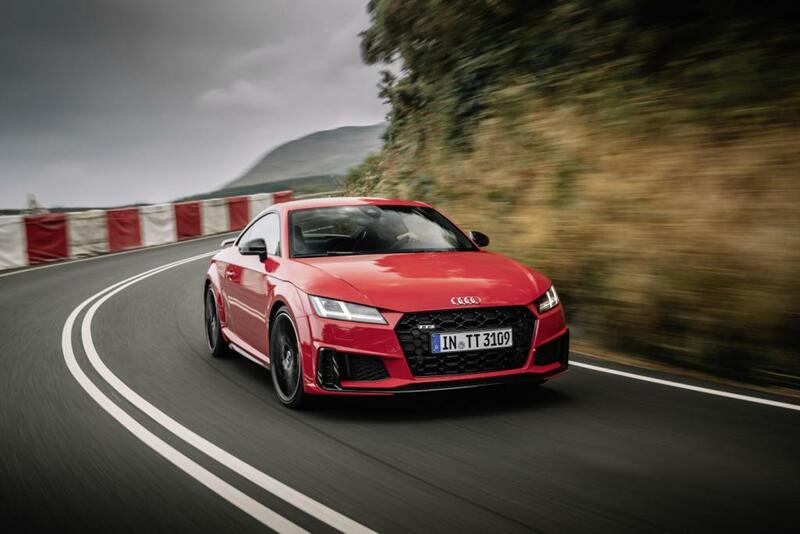 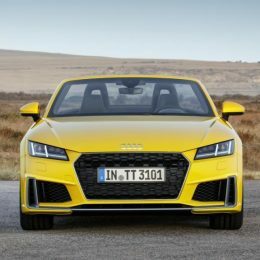 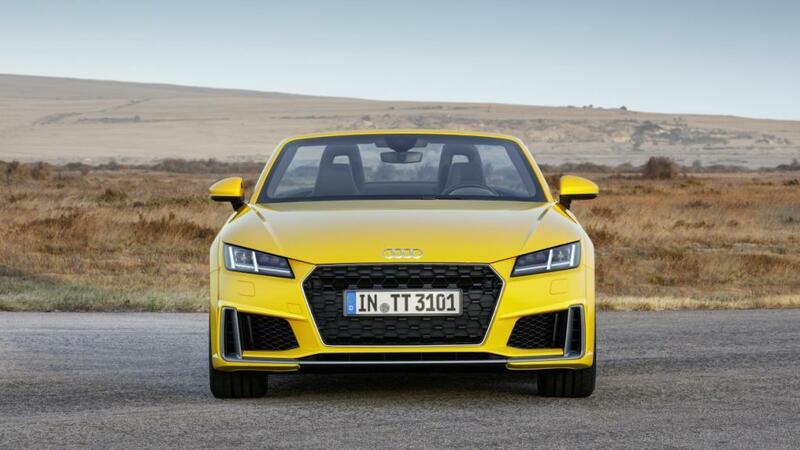 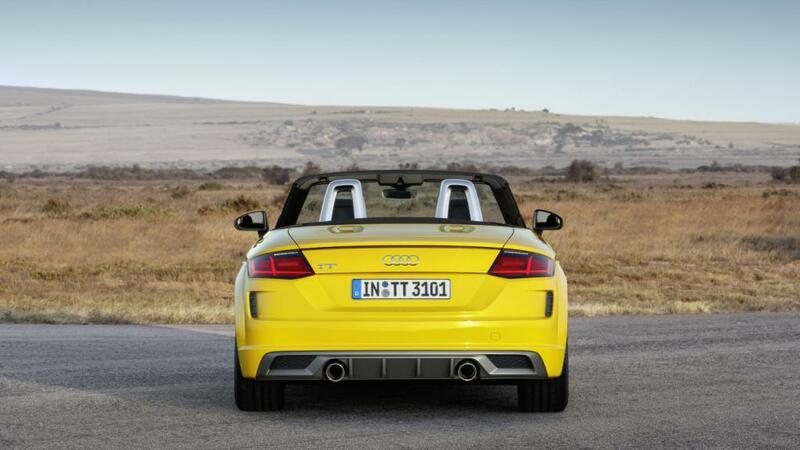 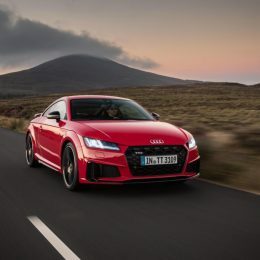 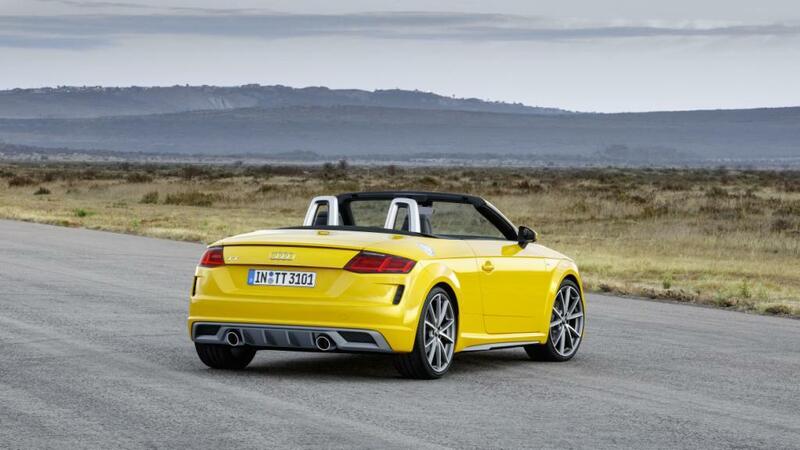 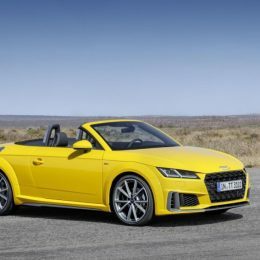 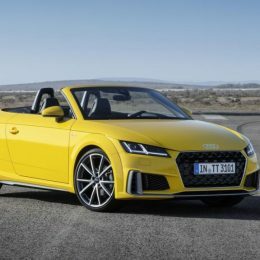 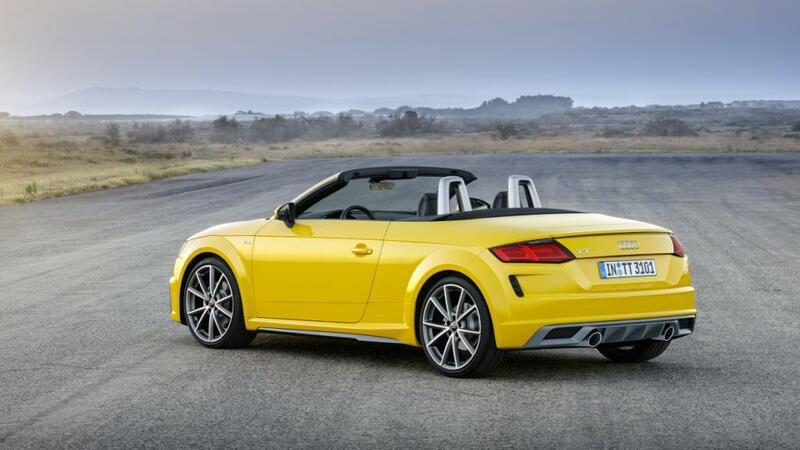 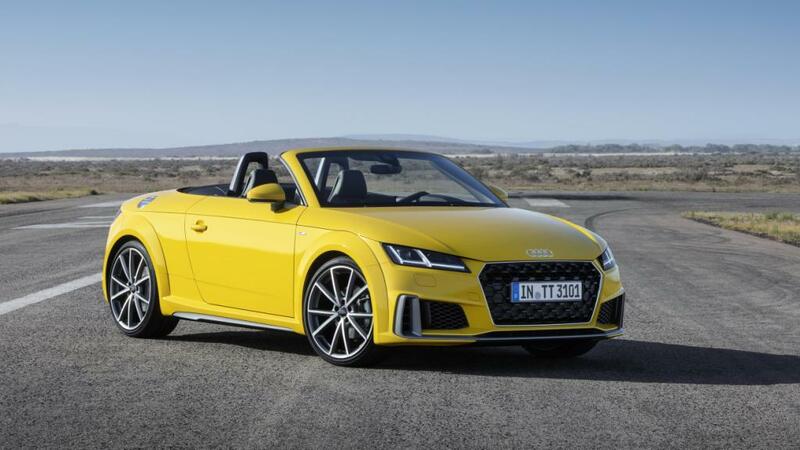 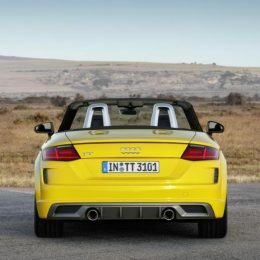 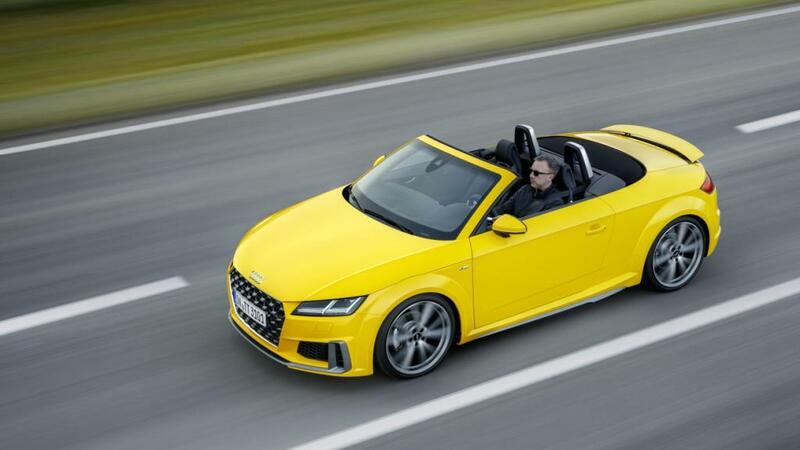 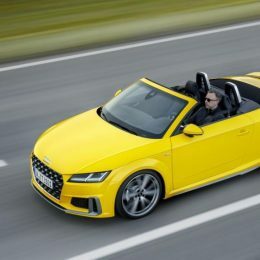 All the latest petrol engines are equipped with a petrol particulate filter (OPF) – in the TTS and TTS Black Edition this has the effect of slightly reducing the power output to 306PS (from 310PS), but at the same time 0-62mph performance has fractionally improved in both Coupé and Roadster variants – the respective 4.5-second and 4.8-second sprint times are a tenth faster than previously. 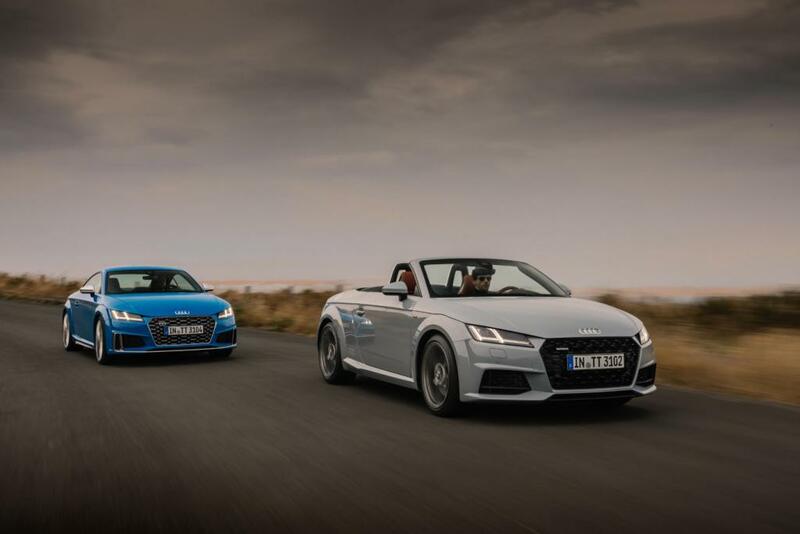 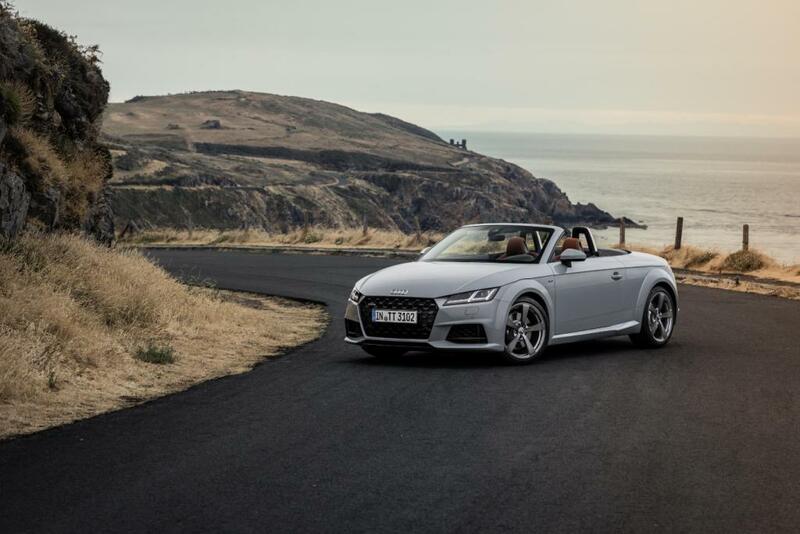 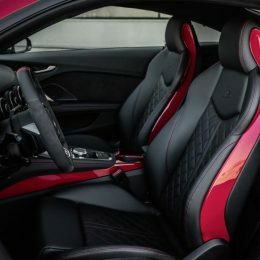 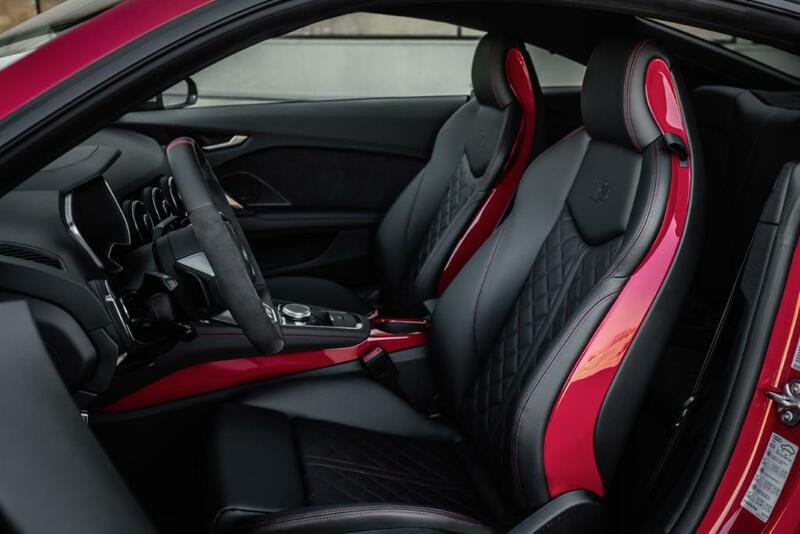 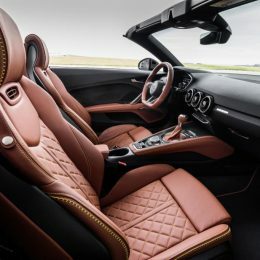 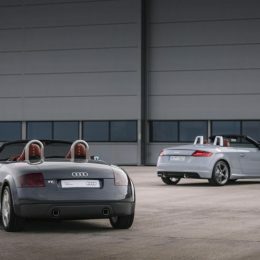 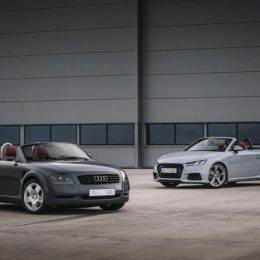 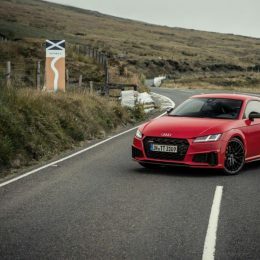 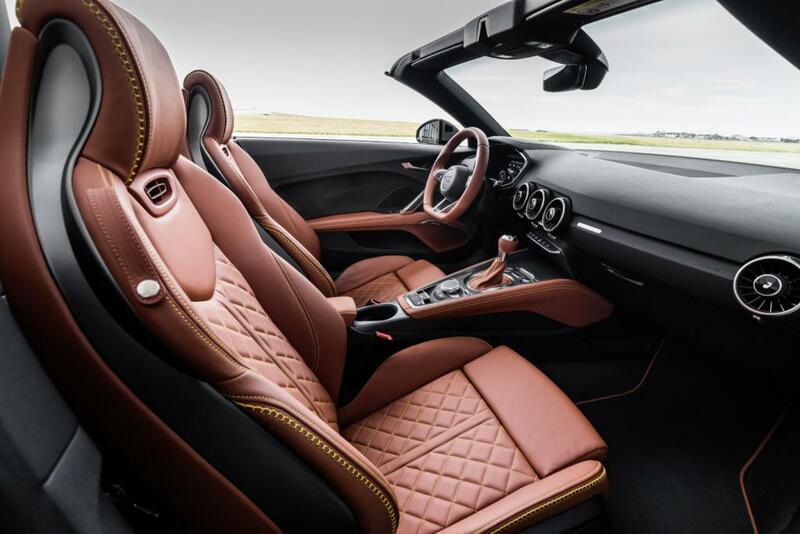 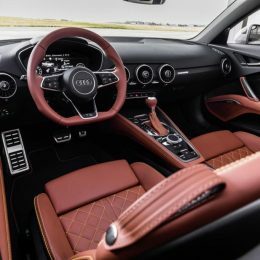 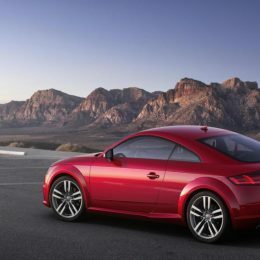 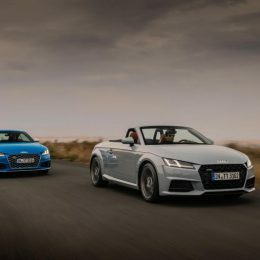 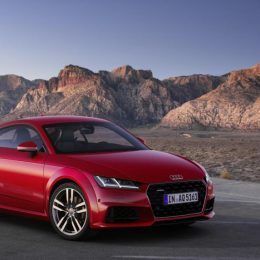 In conjunction with the 197PS TFSI engine customers have the choice of a six-speed manual gearbox or a seven-speed S tronic dual-clutch transmission; the 245PS unit is available with either the manual gearbox and front-wheel-drive or with the S tronic transmission and the multi-plate clutch-based quattro permanent all-wheel drive system. 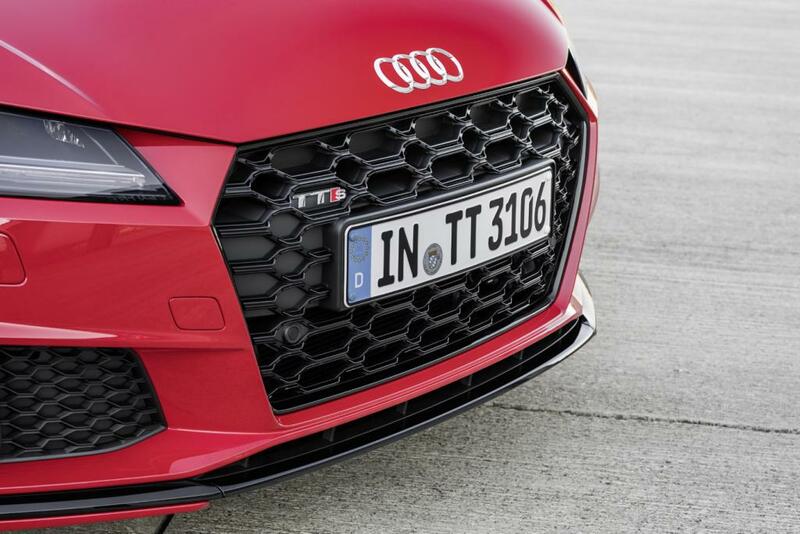 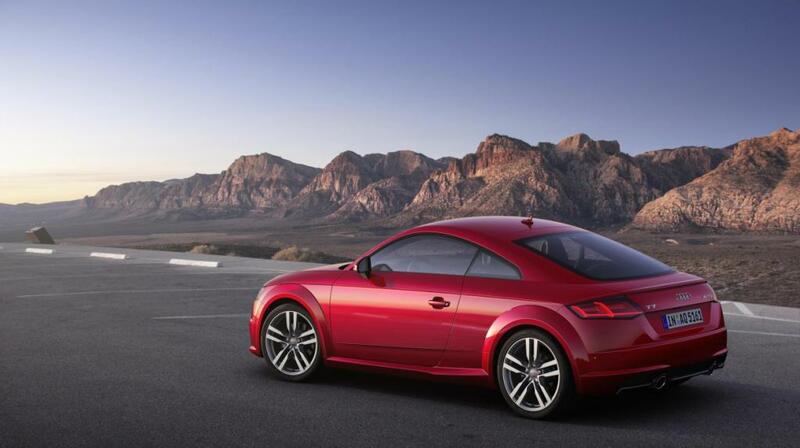 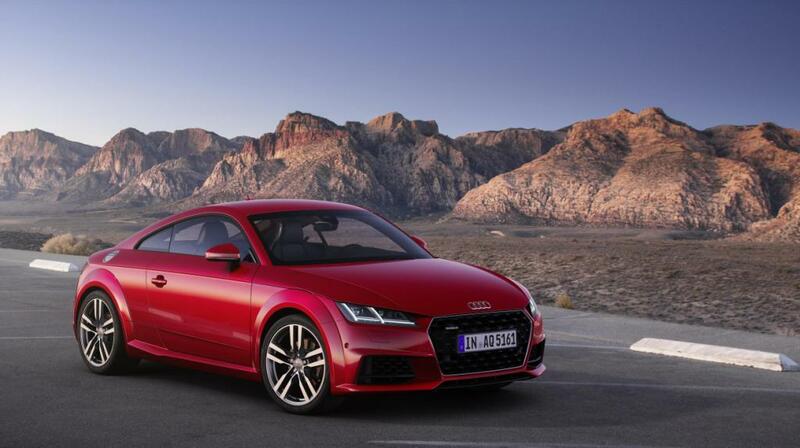 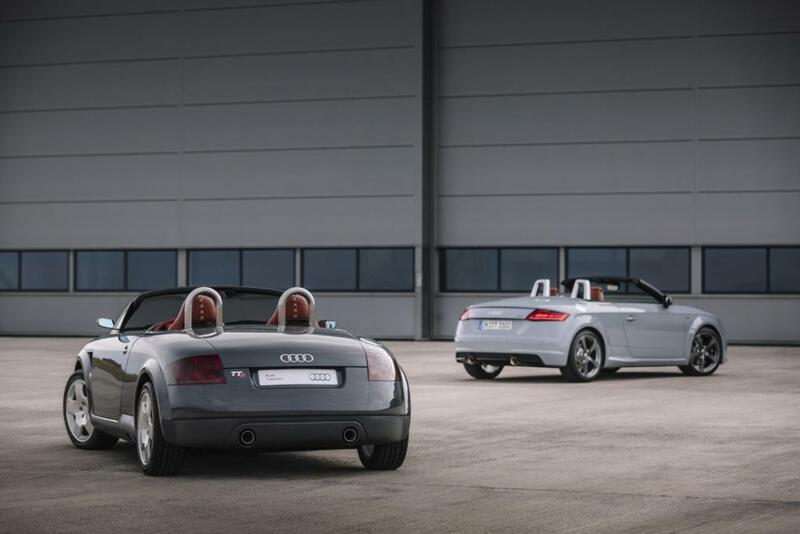 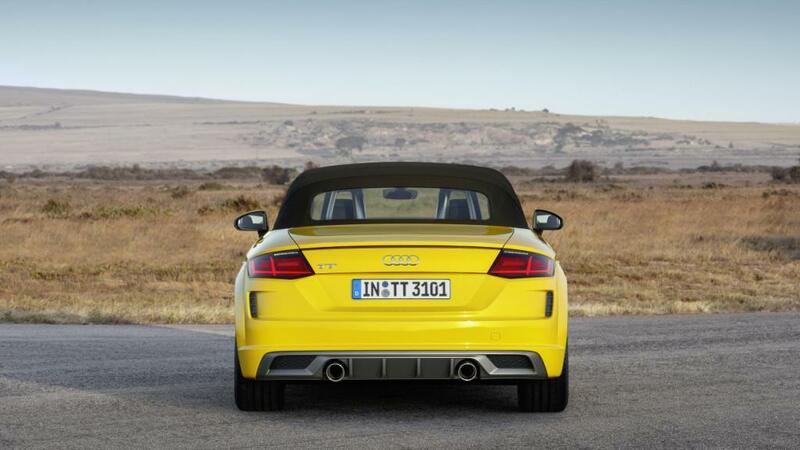 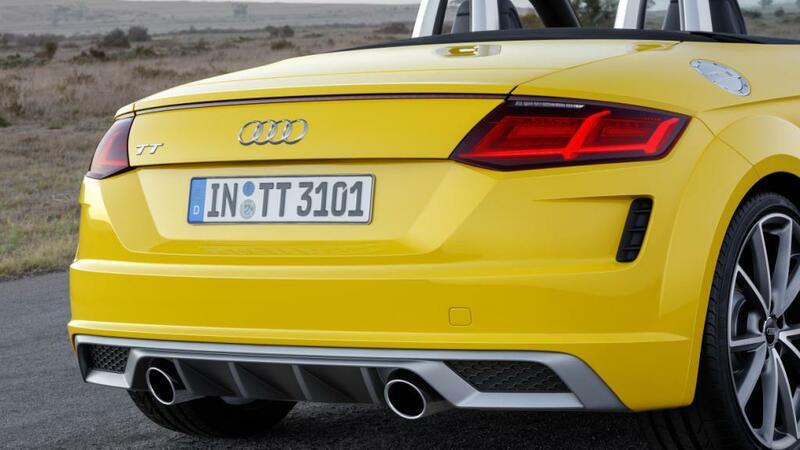 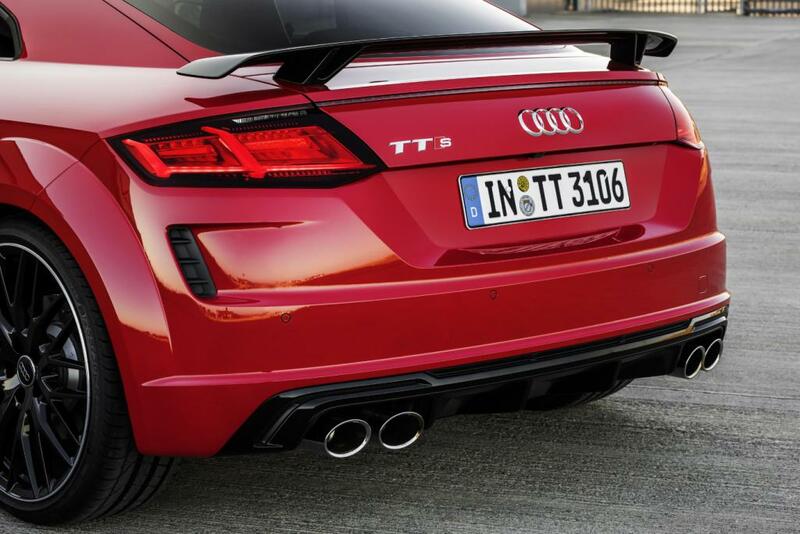 Both versions of the TTS feature quattro as standard. 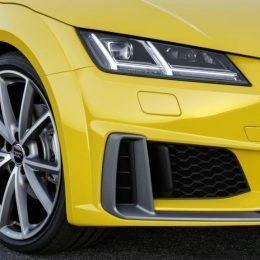 In both transmission types, the close-ratio lower gears enable powerful acceleration, while the wide ratio of each transmission’s highest gear reduces the engine speed and with it fuel consumption. 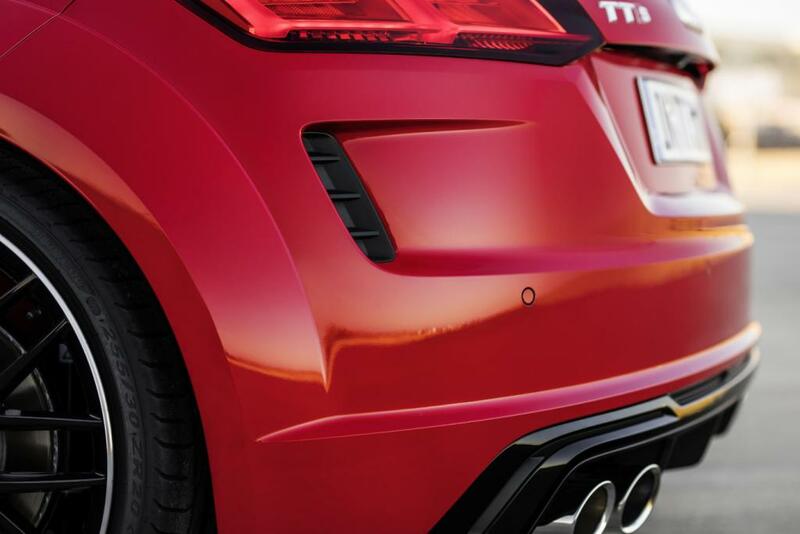 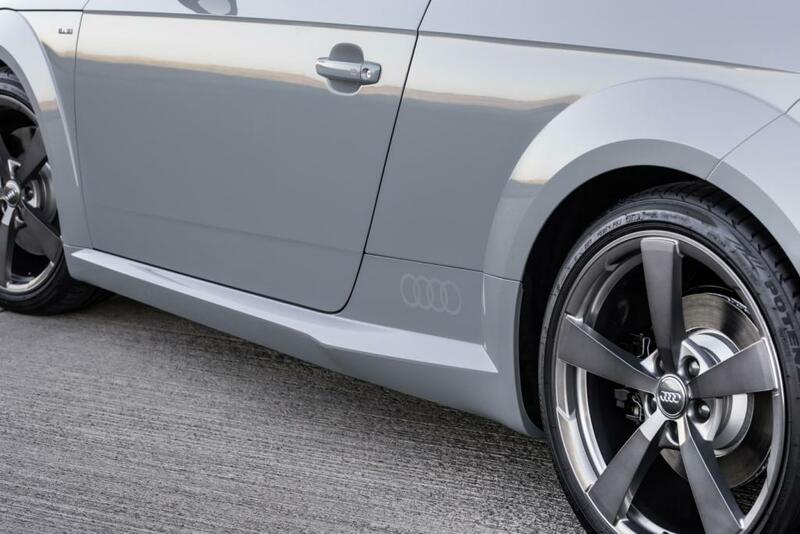 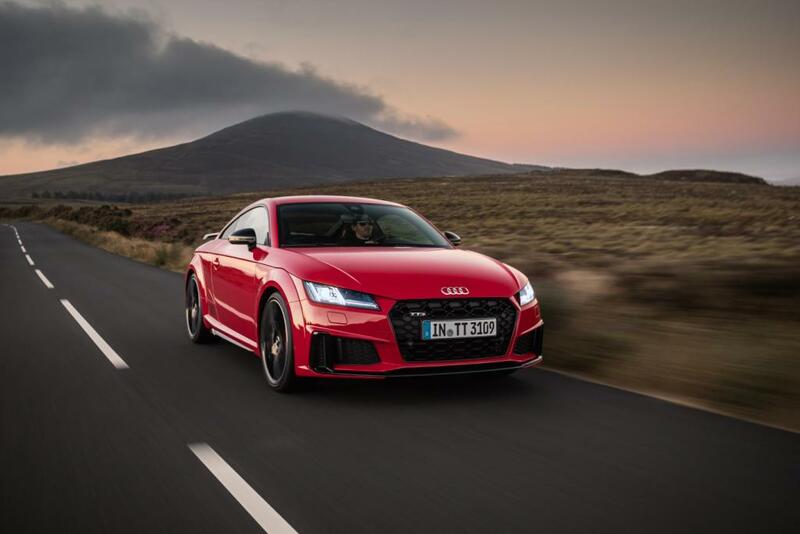 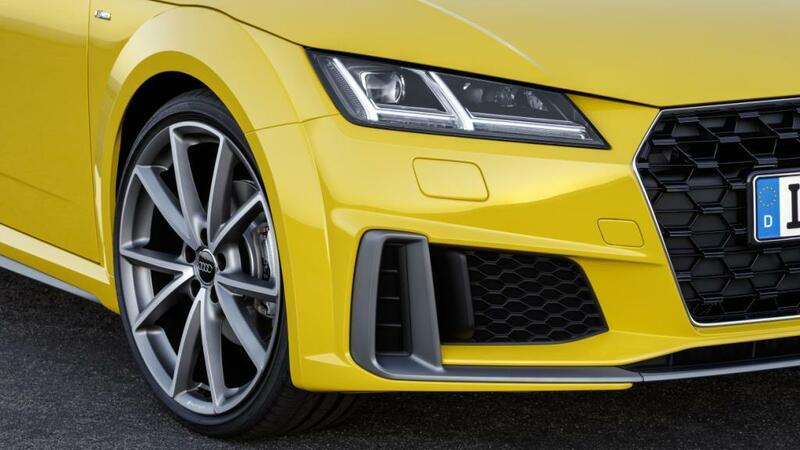 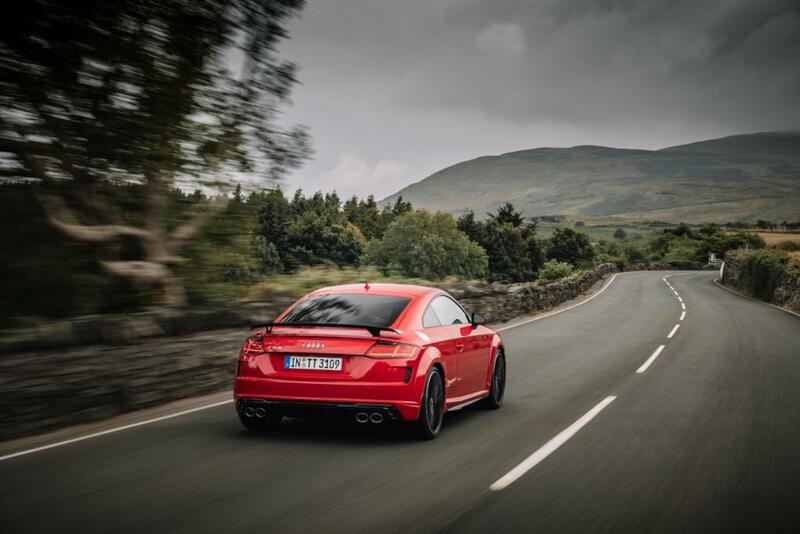 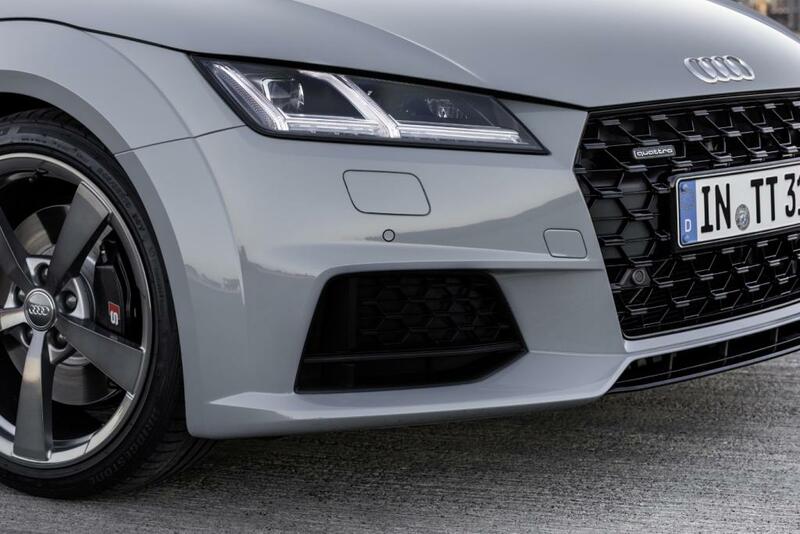 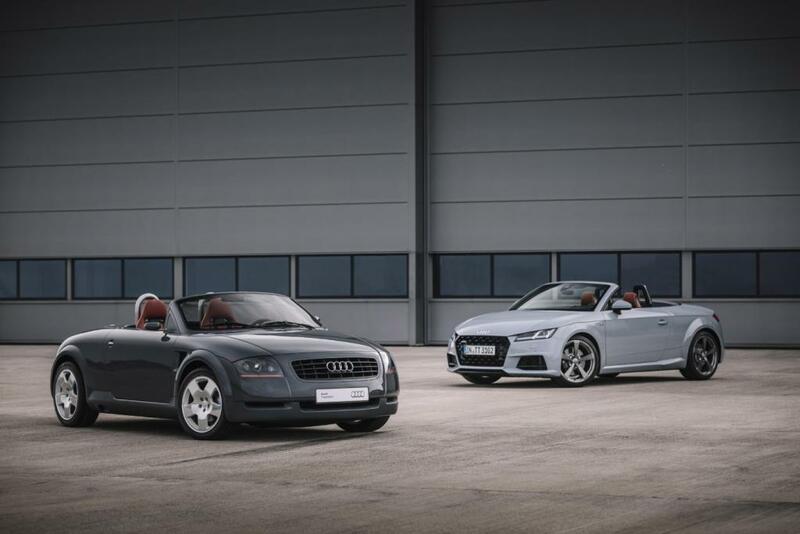 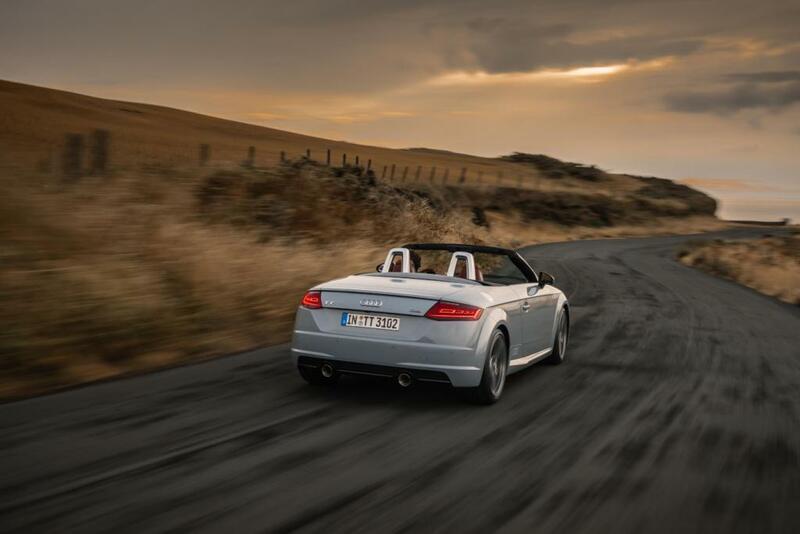 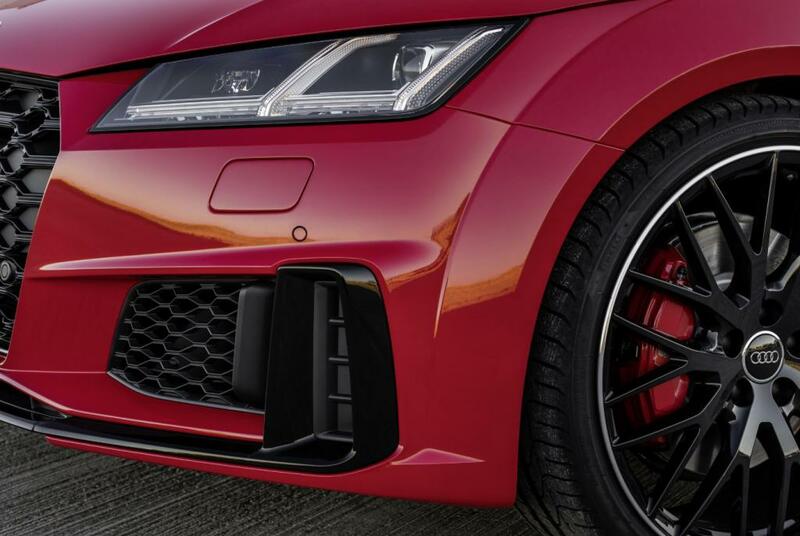 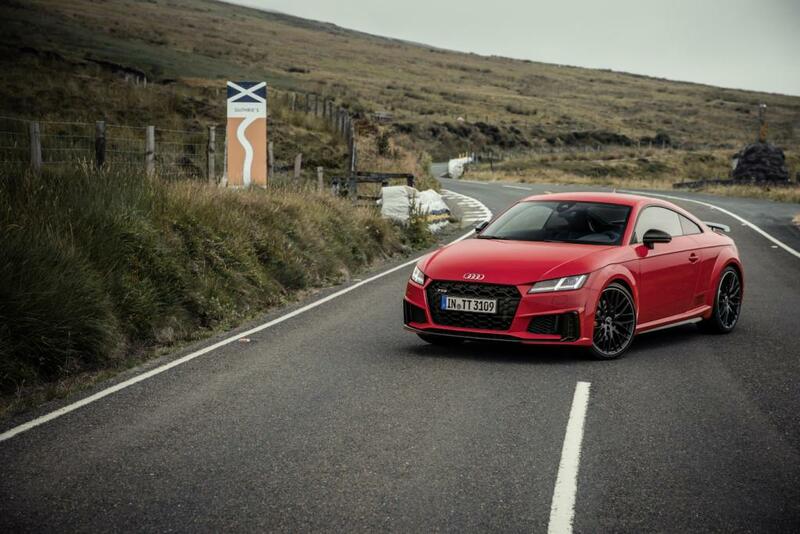 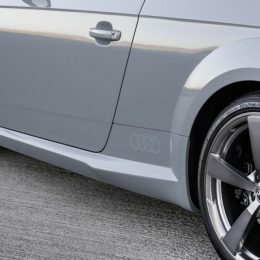 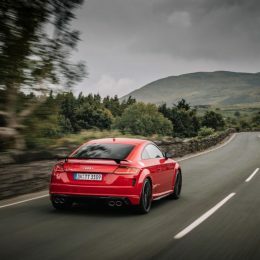 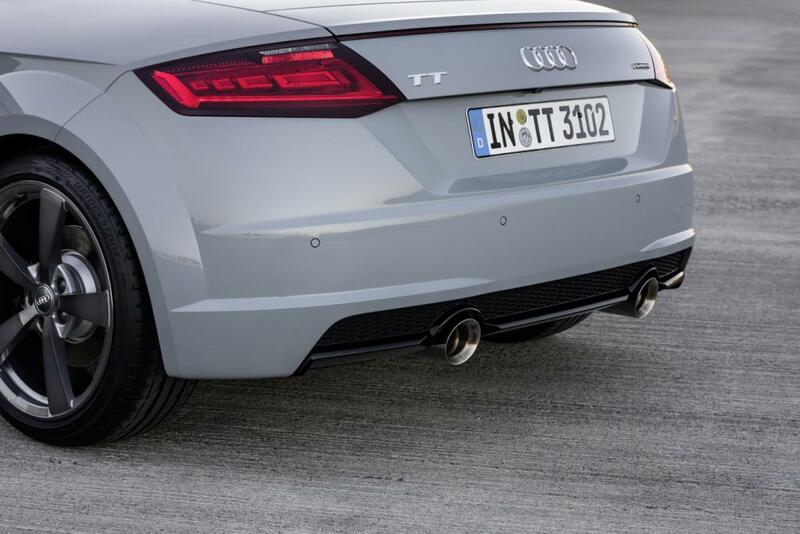 Sports suspension is not surprisingly a standard feature of all TT versions, and to take this a step further S line and Black Edition versions can be fitted as a no-cost option with S line sports suspension lowered by a further 10mm. 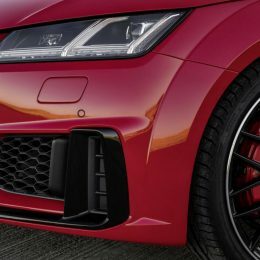 The TTS and TTS Black Edition models with their ‘S-specific’ suspension and quattro drive are also equipped with Audi magnetic ride adaptive damper control for optimal composure under pressure. 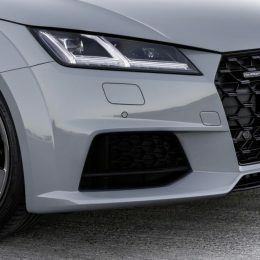 Progressive steering is fitted across the range for increased response in corners and reduced load during low speed manoeuvres, and all versions also include wheel-selective torque control which optimises handling as necessary by means of precise brake interventions on the unloaded wheels on the inside of a bend. 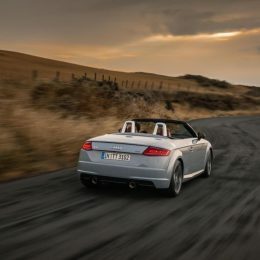 The portfolio of driver assistance systems also embodies the TT philosophy: they relieve the driver of work so that he or she can fully concentrate on the road. 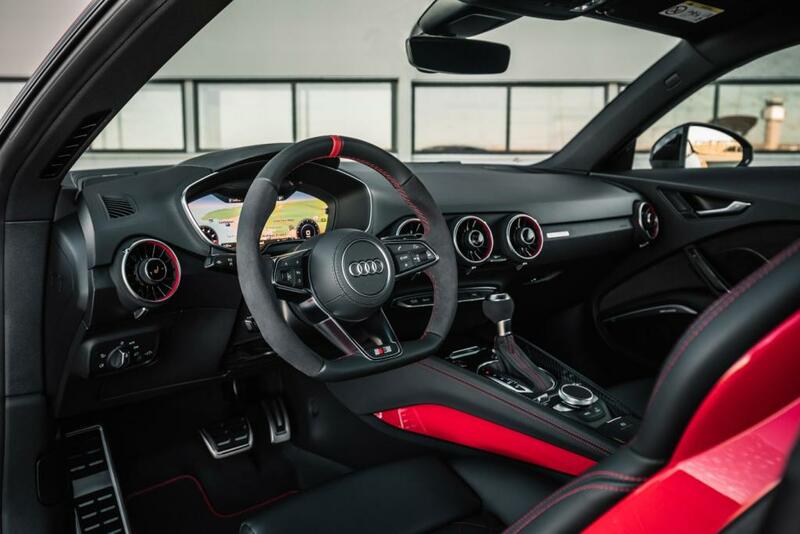 The lineup extends from the lane change assistant Audi side assist, the lane departure warning system Audi active lane assist and traffic sign recognition to the park assist with display of the surroundings and a rearview camera.